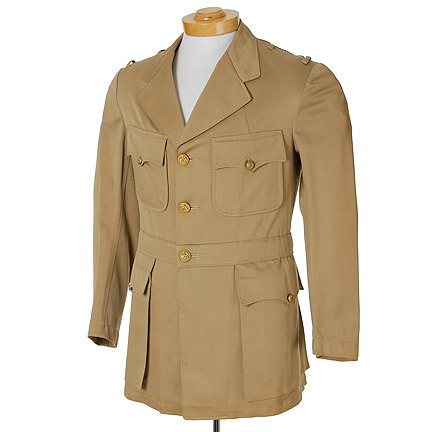 This tunic was worn by the character “Lt. 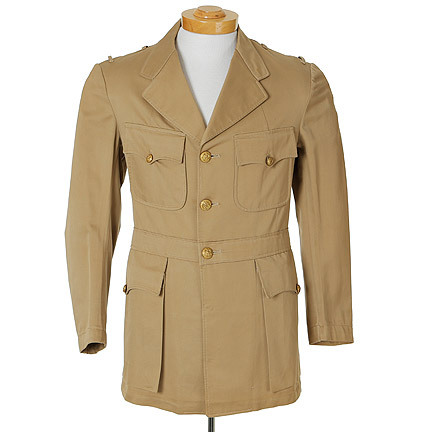 Rip Crandall” portrayed by actor Jack Lemmon in the 1960 motion picture “The Wackiest Ship in the Army”, this garment was also worn by the character “Lt. 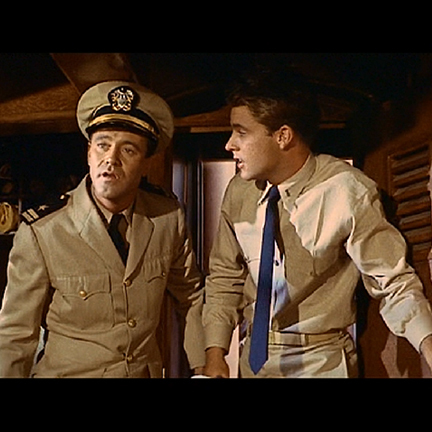 Blanchard” portrayed by Efrem Zimblast Jr. in the 1958 motion picture “The Deep Six”. 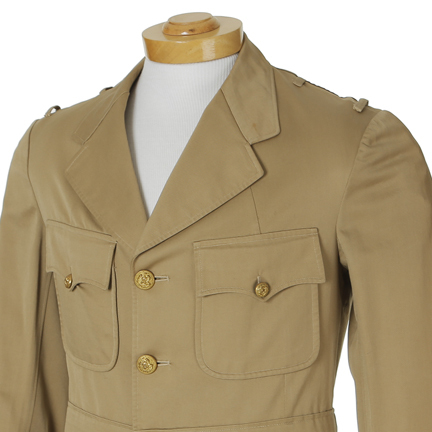 The khaki Navy jacket has a notch lapel, two upper pockets and large lower flaps pouch pockets, and epaulet loops at shoulder. 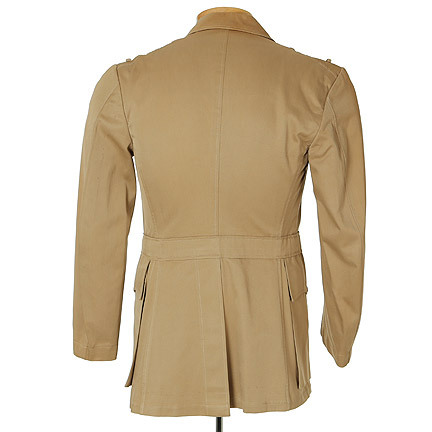 Warner Bros label inscribed “Lemmon”, “E.R. 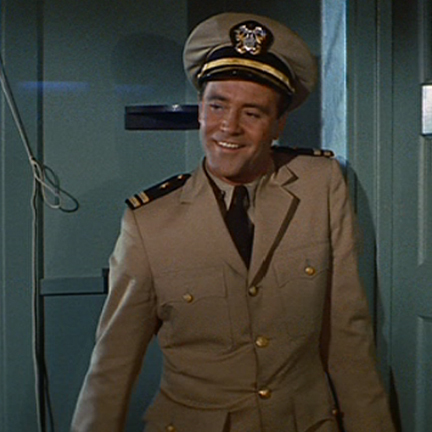 Allen” “4-26 Efrem Zimbalist” and stamped “US Navy”. Warner Bros label “John Lytell 7/6/38, Prod. 225”. 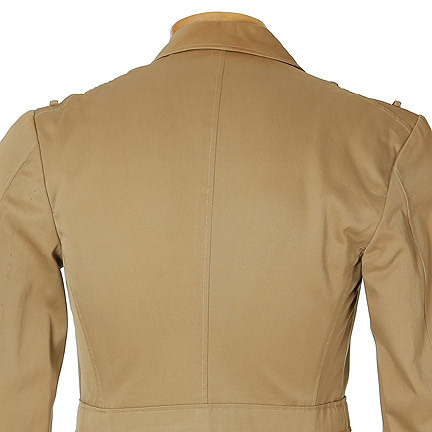 Alterations notes, having been worn by three actors the garment was altered several of times. 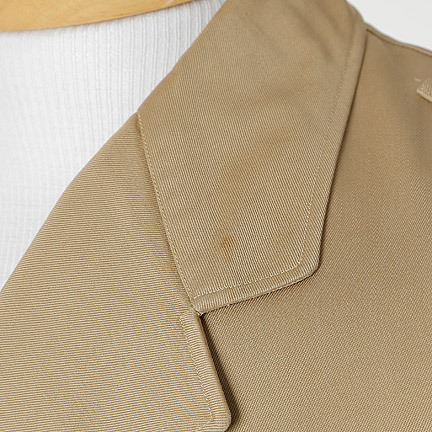 There front of the coat has been taken in at the chest line, two similar fabric panels were added at the inseam to make the garment bigger, and the hemline has been let out and hole from the original stitching are present. 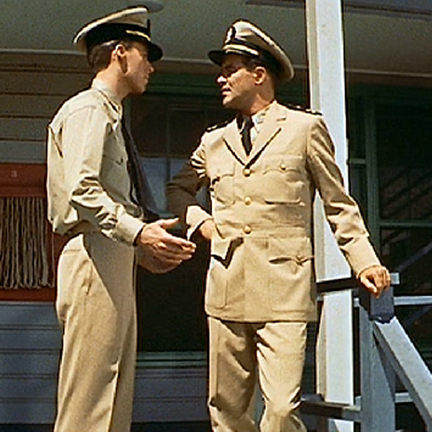 Mr. Lemmon wears this tunic through out “The Wackiest Ship in the Army”, specifically in the scene while meeting with “Lt Commander Vandewater” (John Lund) about docking at the port in Moresby, New Guinea. 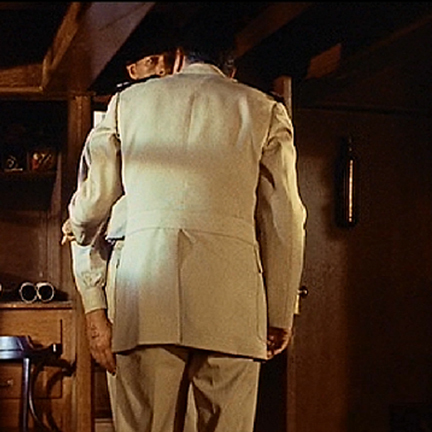 Mr. Zimblast wears this tunic in “The Deep Six” when he speaks with “Alexander Austen” (Alan Ladd) about his relationship and extends his help. 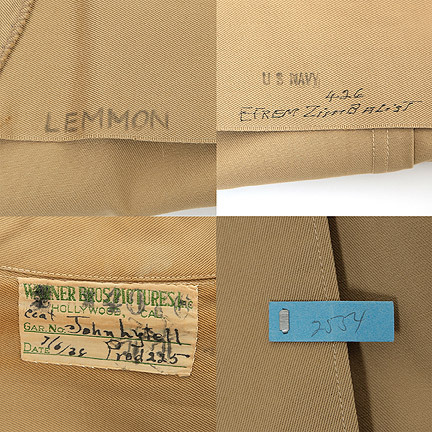 This tunic is in good condition and is accompanied by a letter of authenticity. 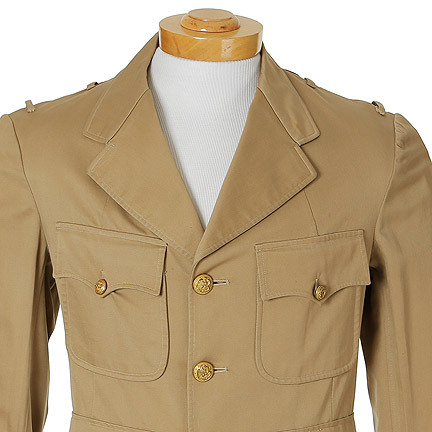 Presented by The Golden Closet, your premiere source for iconic screen used wardrobe, props and entertainment memorabilia.